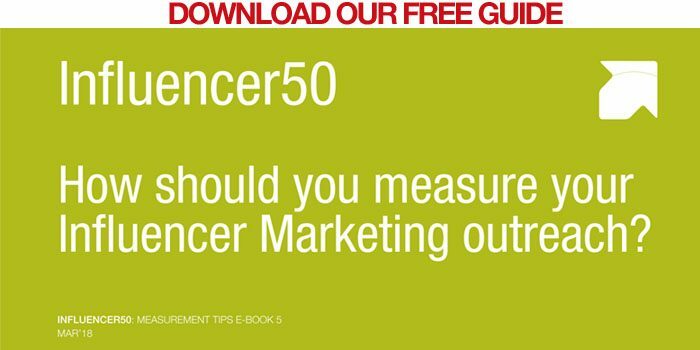 Two or three times a year Influencer50 produces original thought-leadership White Papers on cutting-edge Influencer Marketing topics. Our latest is WP#24: Are there different ‘layers’ of influencer your organisation should be addressing? WP#22: Why don’t Marketing Depts. routinely map onto their organisation’s real-world sales influencers? WP#21: What should you do if you’re not convinced by the importance of ‘social influencers’ to your company? WP#20: Where is B2B Influencer Marketing now and where does it need to go next? Influencer Marketing has been taken over by uber-cool Instagrammers. 73% of all posts on Influencer Marketing are about social influencers. It's B2C-focused. So what should B2B companies do now? WP#19: Where’s the evidence for investing in B2B ‘social influencers’? WP#18: To what degree are your prospects & customers influenced by online & offline communities? WP#17: Commissioning an Influencer Program – What is the Cost of Inaction? Why Social Media Influencers appeared to be big news in 2012 – and why for most companies they’re completely irrelevant. Most likely for yours too. WP#14: Are Your Customers Influenced Online, Offline or Both?